Prenuptial rumor roundup: Nicole Richie to wed? If the rumors are to be believed, Nicole Richie is somewhere prepping to wed rocker Joel Madden, whom she’s been with since 2006 and was confirmed to be engaged to earlier this year. Supposedly, Richie, 29, and Madden, 31, are set to tie the knot tomorrow at Lionel Richie's Beverly Hills estate which, although it boasts 28 rooms, doesn't have plenty of space on the ground for many guests. Word on the street is that the guest list has been kept to 75, according to the U.K.'s Daily Mail. So while there reportedly will be seats for Ashlee Simpson and Christina Aguilera, there isn’t room for one Paris Hilton. Say what you want about President Obama, but the guy can pull in some ratings. The President made a guest appearance on the Wednesday, December 8 episode of the show and more than 2 million people tuned in to check it out. 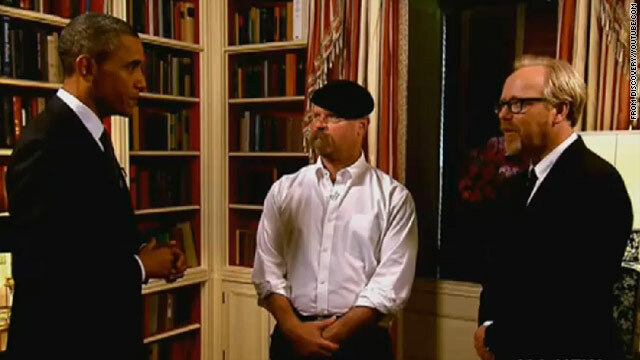 As we noted earlier, President Obama asked the mythbusting duo to solve the legend of Archimedes' solar ray, which was storied to be one serious weapon. Although the team had handled such a fiery mission twice before, this time the President wanted them to examine the myth by considering manpower. With that many people tuning in, the episode landed in the No. 1 spot among cable primetime programs that night among men 25 to 54 and men 18 to 34. "Twilight" star Taylor Lautner is gearing up to play another hero from a young-adult novel. The actor is set to star in the big-screen adaptation of Catherine Fisher's 2007 sci-fi adventure "Incarceron," reports Deadline.com. Lautner will play Finn, a 17-year-old who has lived his entire life in the futurist prison society Incarceron. With the help of a crystal key, he can communicate with the warden's daughter, Claudia, who is trapped in a castle in a world resembling the 17th century. Both Finn and Claudia long to escape and vow to help each other. Besides "Incarceron," Lautner, 18, has plenty of other projects in the pipeline. The final two chapters of "The Twilight Saga: Breaking Dawn" will arrive in theaters on November 18, 2011, and November 16, 2012, respectively, and the thriller "Abduction" is set for release next September. In addition, Lautner is also attached to portray Stretch Armstrong in a movie about the popular children's toy. 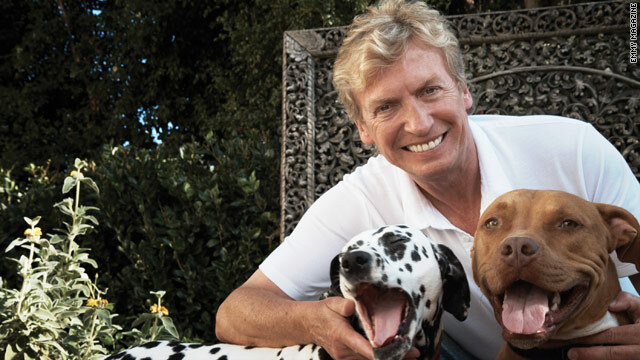 Doesn’t sound like “American Idol’s” Nigel Lythgoe is going to miss Simon Cowell at all next season. The producer tells Emmy Magazine that “If you like people being mean to people, you’ll miss it” – an apparent dig at the acerbic Cowell, who left the show last season. Lythgoe returns this season to the show, which has seen its ratings dip from the ginormous numbers of the past. He told the publication he thinks the talent competition will go on even without fan favorite Cowell, and he praised new judges Jennifer Lopez and Steven Tyler. 'Showbiz Tonight' Flashpoint: Is the Hoff's career in crisis? “The Hoff” is not having a good day today! His new reality show,“The Hasselhoffs" - which featured his two daughters, Taylor Ann and Hayley, as they chased their dreams for careers in the entertainment business - just got the proverbial rug pulled from under it. A&E canceled the show after airing only two episodes! 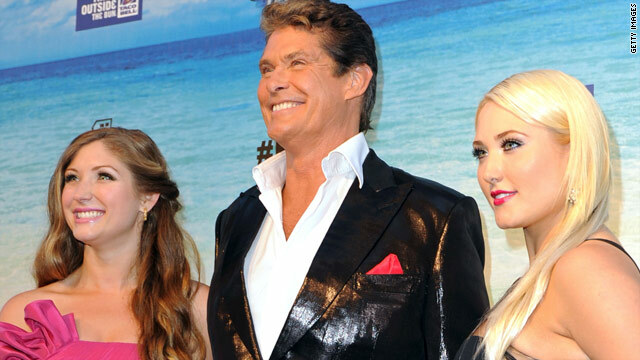 Maybe the Hoff’s first lesson to his grown daughters should be, “you gotta roll with the punches!" I can tell you, it hasn’t been a good year for the actor. 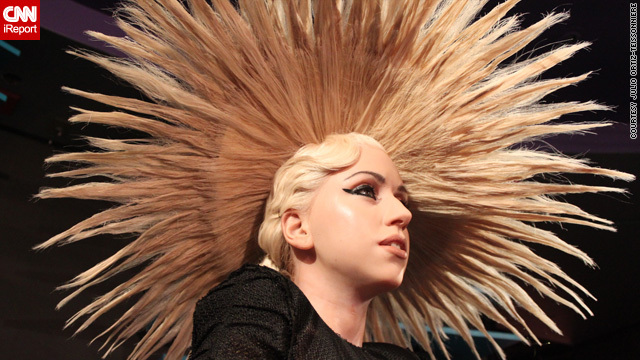 Leave it to Lady Gaga to make a statement, even in wax form. Thursday, Madame Tussauds unveiled eight figures of the singer worldwide, with each statue sporting her signature outrageous styles.